This column was started to be run whenever Villa lost or drew. This seemed to happen all the time, so it’s a force of habit that ‘Five Reasons’ now runs whatever the result. Until Benteke popped up with the winner against Reading, lets be honest, Villa fans were far from cheerful. 1. Three points. Lets face it, it wasn’t pretty and a grind with a capital ‘G’. But when it’s pointed out that WBA have won more games this month than Villa have done in the whole of 2012, I don’t care if Villa win the next two games both 1-0 with o.g. winners. Show boat football can come once we’ve got ourselves out of this dodgy league position mess. 2. The four kids at the back. Admit it. When Vlaar went off against Arsenal, you feared the worse. When you saw he wasn’t fit for Reading, you also feared the worse. So impressive have the young lions been at the back, that Guzan was rarely troubled against Arsenal and Reading. Sometimes there’s no substitute for energy and effort at the back. I recall an FA Cup game almost five-years ago at Old Trafford when Villa were down to the bare bones of a youthful Cahill and Ridgewell. Those boys gave a masterclass in defending to repel the Red Devils on their own turf. We would have got a reply too, if it wasn’t for that emergency loan Hungarian pyjama bottom-wearing fool Kiraly, who let slip a speculative shot in the final minutes from that Norwegian chap we almost got as a manager. Speaking of fools, O’Neil should have kept both Cahill and Ridgewell instead of replacing them with high-wage tat. 3. The Villa Park faithful. While down in numbers to 28,692 and suffering chilly conditions , they could still be heard pushing their team over the three points line. It’s a good knack to have, scoring goals when your team need it the most – a mark of a proper goal scorer. Personally, I would still like to see the addition of a ball-winning midfielder to give steel to the midfield, so Bent can play alongside Benteke. It’s a partnership that would terrorise Premiership defenders, but will it ever happen? When Lambert was interviewed after the Reading game and the notion of the Benteke/Bent strike force was brought up, Lambert was quick to mention Villa had lost 4-1 against Southampton, the only time they had played together. It’s a clear indication that he thinks Villa’s youthful midfield doesn’t have the strength or type of players to be solid enough to supplement a poacher like Bent. The Bent situation will no doubt be resolved in January, one way or the other. I’ll be honest, the five reasons were originally all going to be about Christian Benteke. It’s worth adding that there’s more dimension to his play than most people first thought. His first touch and control are great, as is his awareness of others. He’s perfect as a hold-up player and allows Lambert to utilise the 4-2-3-1 formation, which hopefully will begin to sparkle sooner rather than later. 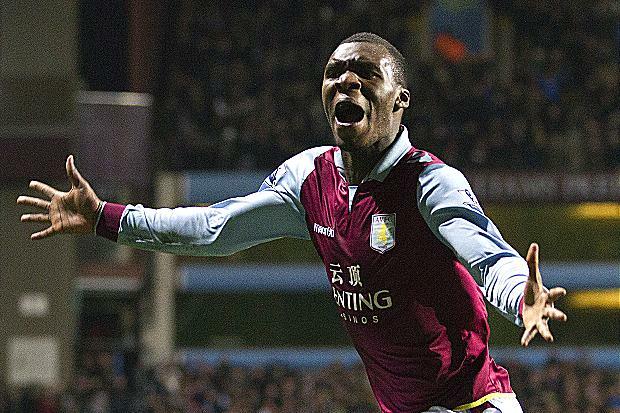 If only Villa could get a few players around Benteke of the caliber of his Belgium national teammates. Some of Benteke’s link up play in the last two games has been brilliant. He is starting to flick the ball off into channels regularly now – we just need Gabby and Weimann to read them a bit better. He could easily develop into the new Drogba given the right input. I just hope we can build a good side around him so that he doesn’t leave at the first opportunity. DavidHenderson Yeah, every game I’ve seen him, I’ve seen something more. Against United he showed he can run at players and had a turn of pace. Arsenal & Reading, very decent control and first touch. 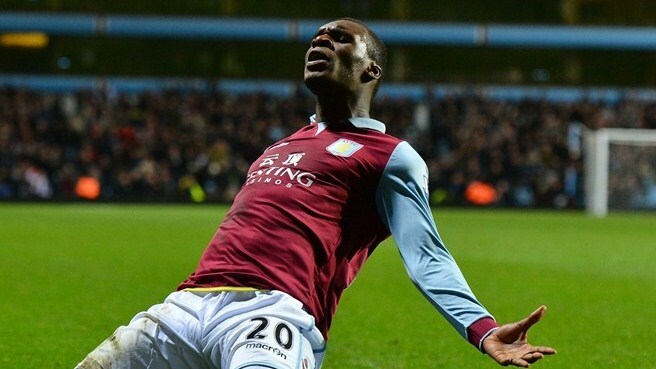 If Bent cost £18-24 mil, we’ll be selling Benteke for £50 mil! I’d love to see him net 20 goals in a season…although the vultures would soon swoop for him.